Save the third Thursday of every month for the Cruise In. Locations change monthly so stay tuned. Join the email list HERE and watch for the location. 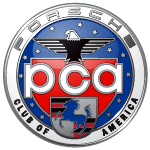 Drop in, hang out, talk Porsches, show off your German beauty, and get to know fellow enthusiast in a relaxed atmosphere. For more information, contact Loren Stumbaugh!